Here's a German Briefmarke individuell (roughly, the equivalent of a Zazzle stamp) honoring the violinist Yehudi Menuhin. Menuhin was a magnificent violinist, and for many years was one of the classical musicians whose name was instantly recognizable to many people who didn't normally pay attention to classical music. Unfortunately, much of his best work survives only on relatively primitive recordings from the shellac-and-acetate era; but even as his skills eroded, he kept up his involvement in music, moving on to conducting and helping to introduce South Asian music to Western audiences via collaborations with Ravi Shankar. A fine tribute appeared in The Telegraph a couple of years ago and is worth a look for all music lovers. You may also enjoy this fansite; I did. If you're looking for a way to keep up with music topicals (all kinds of music) as well as cult items like the one posted here, may I recommend membership in Motivegruppe Musik? The bimonthly journal is in German but with substantial synopses in English et en français. Check it out. I had the good fortune of seeing him in 1984, when I was visiting relatives in Poland. He was guest-conducting the Warsaw Philharmonic, and my cousin and I got to watch a free dress rehearsal of the upcoming concert. Thanks for bringing that memory to the fore again. Thank you for the link to that group. 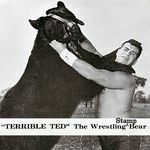 I have added the group to our internet resources section of StampBears. For the 1985 "Year of Music" Europa theme, Norway issued this stamp for native son Ole Bull, a viruoso violinist, noted for the speed and clarity of his playing. In today's mail I received a stamp order in which I received, gratis, the 1983 Music of Sweden souvenir sheet. As it was soiled and creased in the selvedge, I used that as a pretext for separating the stamps for proper placement in their respective topical categories. For my classical music section, here are 2 stamps, one depicting pianist Wilhelm Stenhammar, and the other showing a scene from the science-fiction opera Aniara, by composer Karl-Birger Blomdahl, based on the poem by Harry Martinson. The premeire was held in 1959. Jazz music is represented by this stamp featuring saxophonist (and child accordion prodigy) Lars Gullin. Sweden #1473c, 1983. Of course, what is a set about Sedish music without ABBA? Sweden #1473d, 1983. For the final stamp in this set, see the Stamp of the Day thread. Who was also a composer; I listened to a couple of his symphonies last week. He was definitely in a late-Romantic mode, but (a) was relatively upbeat for a late-Romantic, and (b) threw in a few things he must have learned from Haydn. Sweden doesn't appear to have a composer of the stature of Norway's Edvard Grieg or Denmark's Carl "he put the lime in the coconut" Nielsen, but Stenhammar is pretty darn good. I could be like most Americans and say "better off", but I won't, because it would be a lie. I'll cop to singing along to "Dancing Queen" on many a car radio. I used to be a closet ABBA fan. I came out after seeing an ABBA-appreciation program on TV featuring a lot of rockers like Chrissie Hynde and Ray Davies singing the praises of the group. I knew, then, I no longer had to be ashamed of my feelings. You are correct, of course, and that is how I know him, as a composer. The stamp image created a little cognitive dissonance in me (as opposed to musical dissonance).